Chicken eggs are a nutritious and healthy product that is not recommended to use raw. However, the veterinary doctors strongly suggest to wash the eggs before heat treatment. It raises many questions from consumers, not seeing the point in washing the shell, which is not food. Chicken eggs are a potential risk to human health not only in raw. After the appearance of the eggs to light, his initial inner purity is disturbed by the air bubble is formed inside after it has cooled down and enters into protein/yolk various bacteria. A large part of them remains on the surface of the shell, which is a fairly common cause of Contracting Salmonella. Especially dangerous in terms of transfer of Salmonella goose and duck eggs, which have a more porous structure of the shell. Wash eggs with soap and hot water before cooking is a mandatory preventive measure to minimize the risk of Contracting Salmonella. Then they must undergo a mandatory thermal treatment in boiling for four to five minutes or roasting on both sides. Wash should quail eggs – but only if they lay next to the chicken because the quail do not carry Salmonella in force elevated body temperature. The risk of Contracting Salmonella increases significantly with the use of domestic chicken eggs, because hens on poultry farms are regularly vaccinated and are under strict veterinary supervision. 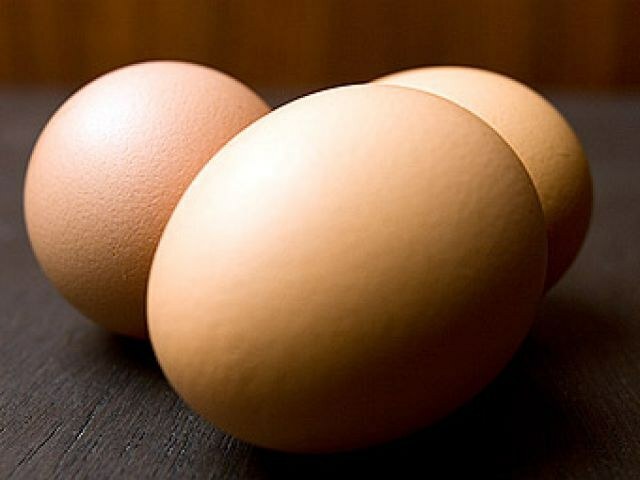 Store eggs should be on the wall of the refrigerator, the temperature of which ranges from 2 to + 4oC. If you intend long-term storage of eggs to wash them before doing this is not recommended. If eggs cannot be placed in the refrigerator, you need to lubricate the surface of any vegetable fat and put in a dark place. Using vegetable oil can extend the life of eggs, but out of the refrigerator it is reduced at least twice. When buying eggs it is not necessary to look to their color, since it is associated exclusively with the breed demolished his chicken. But to the marking of eggs you should pay more attention, because it determines the properties and working life of the eggs. Thus, the letter "D" indicate a diet of eggs, and the letter "C" - table. Ideally, eggs should not be stored longer than twenty-five days, and when consumed the yolk should have a deep yellow color without any veins and inclusions. A prerequisite for the freshness of eggs is also no unpleasant specific smell of hydrogen.